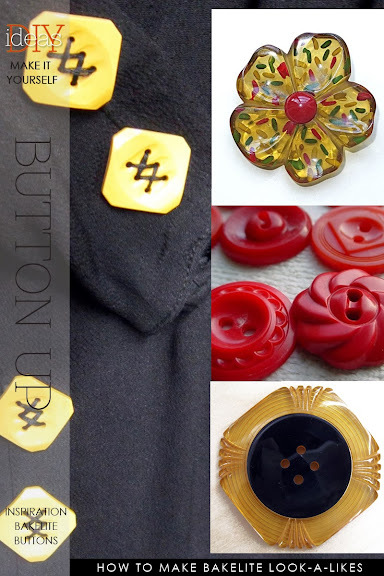 In a previous post I wrote about my obsession with buttons, bakelite in particular. If truth be known, I love any button with interesting colour, shape or texture. Whenever I purchase a blouse or jacket, vintage or contemporary, I will inevitably change out any hohum buttons that are serviceable but not exciting. On my usual hunt for any new ideas, I ran across an article about melting plastic beads, cheap pony beads into suncatchers. 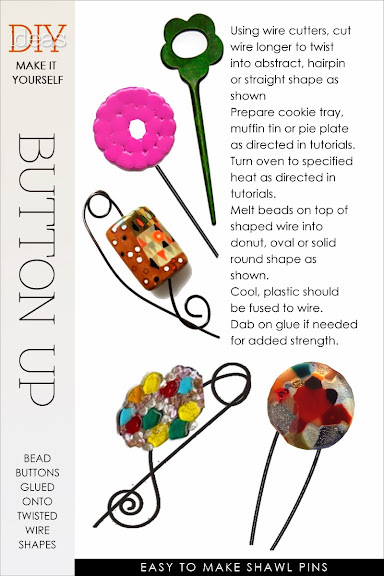 Reading further, I found some jewelry and other simple home décor ideas which, in my mind, opened up possibilities for buttons. There are an incredible variety of plastic beads, clear and opaque, big and small. What was interesting was the combination of clear and opaque, baking thoroughly or less baking for some texture. 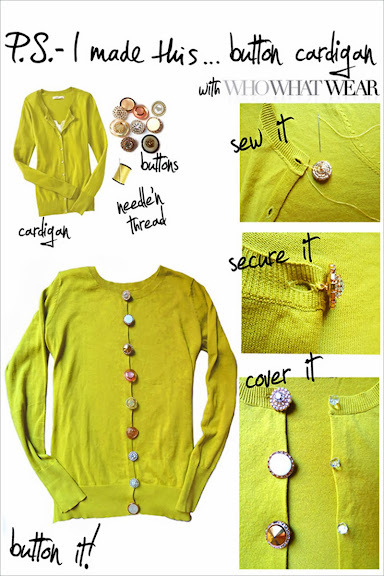 Read further for more inspiration, ideas and tutorials on how to make your own buttons and shawl pins. 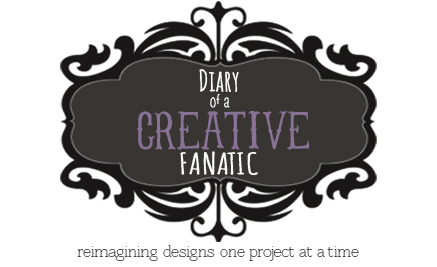 Most craft supplies are readily available at online craft stores or Etsy stores specializing in jewelry supplies. You will note the glass beads which are very interesting as they do not melt. This will give you an interesting texture. 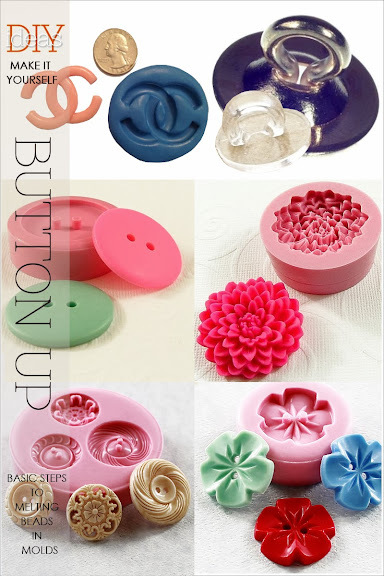 Further down the post are easy-to-use silicone molds, an easy way to produce beautifully shaped buttons. The molds highlighted here are just a few of the vast variety readily available. One that stood out was the Chanel logo, which would be fun to give it a kitchy, fun look for a sweater . Note the clear and metal button backs or shanks for buttons that don't have holes. Layering was another way of achieving detail and depth. 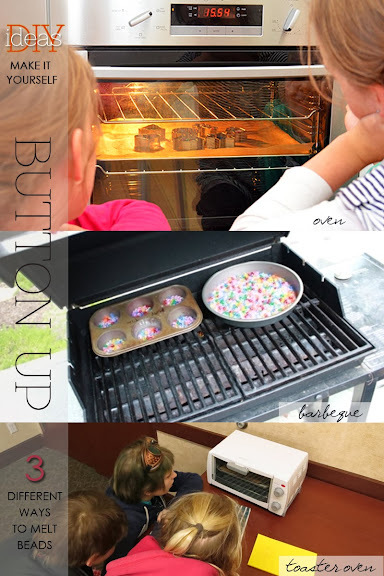 It is important that you follow the instructions given for these molds as some do not tolerate heat above 375°F. This would mean that you would prolong the baking period. If you love shrugs, waterfall cardigans or want to keep a scarf in place, a shawl pin is handy. Here are several ideas for making a really simple shawl pin. Any button can also be glued on to the twisted wire rather than melting directly onto the wire. As you can see from the samples above, the sky is the limit when it comes to imagining different styles and kinds of buttons. The logo button mentioned earlier is a prime example of making a garment detail fun rather than serious. 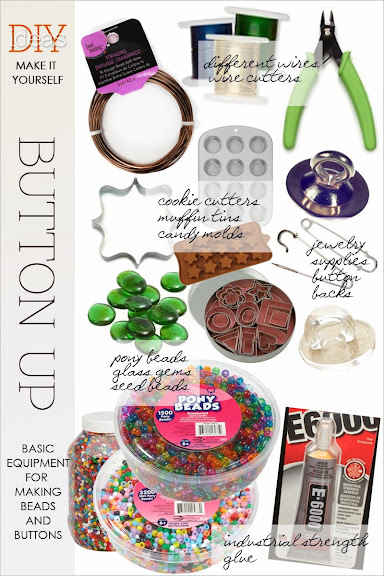 Many of the flat based "jewels" or cabochons are readily available online or at your local craft store. 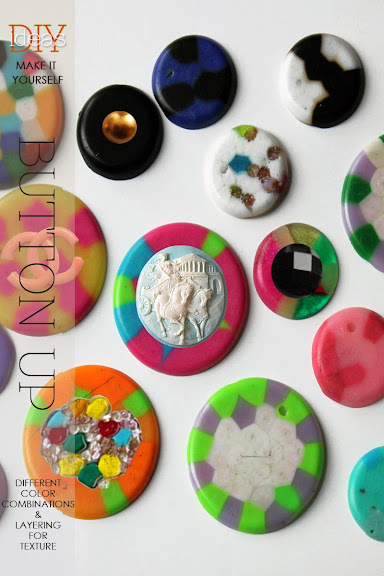 Any buttons that do not have holes, you would glue a button shank or button back to the back of your button. Should you wish to make holes, a handy Dremel tool or household drill will easily make them.